The LinoFloor System is an acoustic underlay system for beneath lino and vinyl floor coverings to reduce both airborne and impact noise through the floor. This acoustic system combines a black recycled resilient rubber mat designed to reduce impact noise transmission when used under Lino and a layer of high mass sound barrier mat. When combined these upgrade the sound insulation properties of a floor and suitable for all types of domestic properties. My neighbour downstairs was complaining about noise from my flat. It had been an ongoing problem. A timber floor had been laid badly on top of the existing ply. The boards were taken up, the ply re-screwed, a layer of linoroll5 laid above, topped with lino. Problem solved. That was three years ago and there have been no complaints since. The Linoroll5 was easy to lay. The LinoFloor System combines a black recycled resilient rubber mat designed to reduce impact noise transmission when used under Lino and a layer of high mass rubber. These combined upgrade the sound insulation properties of your floor and work in all types of domestic properties. The two main components are our Linoroll for reducing the impact noise and 2 layers of our Soundproofing Mats to reduce the airborne sound. Combined they reduce both noise types very well. 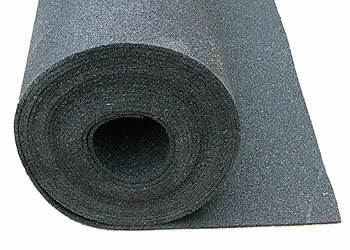 As the Linoroll is produced using recycled rubber, soiling of the hands and clothes may occur during handling so protective measures are advised. There may be a slight odour from the rubber but this should quickly dissipate once installed with the Lino on top. The system is easy to fit with little D.I.Y experience and is simply laid directly on the floor. There is no need for a lino underlay as well as this product. 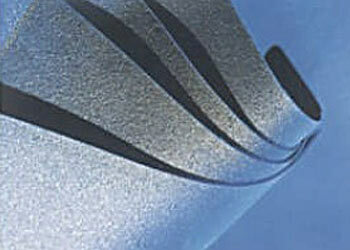 Once ordered the products are all delivered (Access Permitting) with full step by step install instructions. Please note: This system is effective at reducing normal noise levels, that should not normally be heard, for example talking, radio and TV sound. Loud music and bass noise will always be audible although its intensity will be reduced.